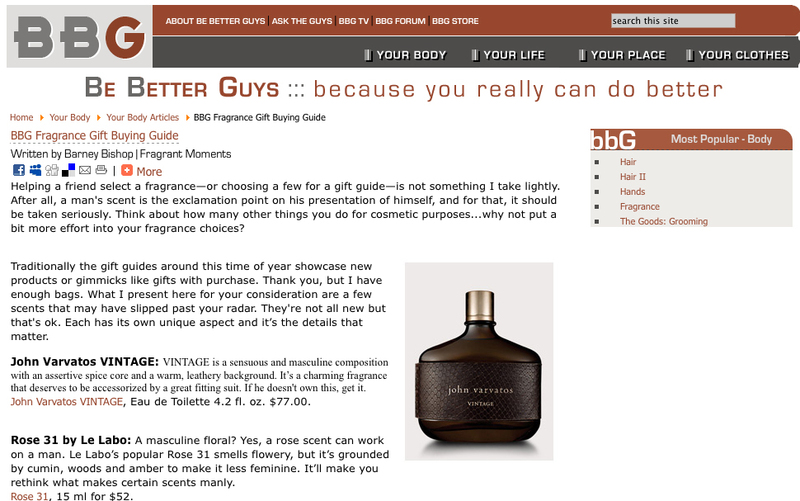 Here’s a fragrance gift guide I put together for our friends at Be Better Guys. It only went up two days ago and I’m just getting around to reposting here. If you feel that the gift you bought just didn’t get the reaction you were looking for, consider these suggestions. You can also blame it on the store and say they were out and I really wanted to get you this! Anyhow, Happy Holidays from Fragrant Moments!